Sant Josep will reduce the number of sunbed concessions by around 10% going from 5,710 this year, to 5,117 that will be tendered for 2018. The beaches most affected are Cala Bassa, Cala Carbó and Es Xarco, where the greatest over-occupation has been detected. Half of the sunbeds that were there this summer will be eliminated next season. This year Cala Bassa had 280 sunbeds, this will reduce to 138, Cala Carbó had 80, reducing to 44 and Es Xarco will drop from 30 to 10. Cala d’Hort and Platges de Compte will also reduce by 20. 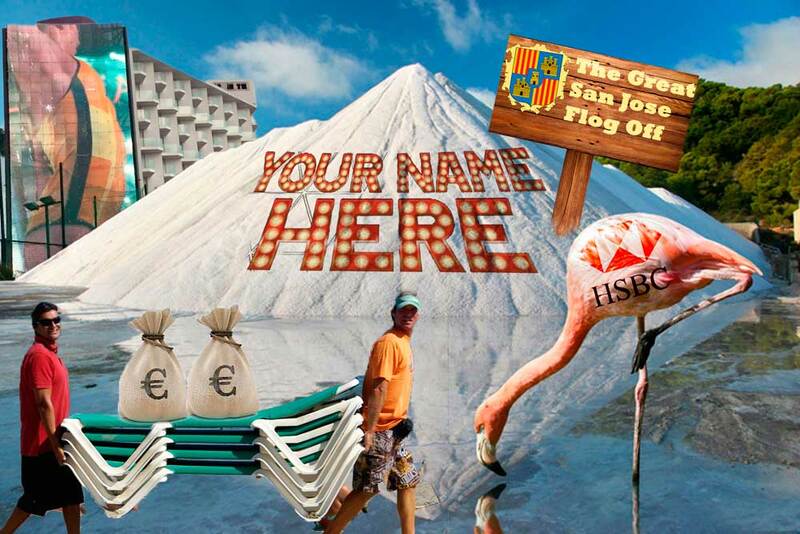 In Platja d’en Bossa, two kiosks are eliminated and a deserted lot will not be open following the concessionaire’s resignation, with a reduction of 164 sunbeds of the 2,540 that were on the beach. The 6 sunbeds of es Bol Nou will not be available due to the risk of landslides. Jet skis concessions will also be eliminated from natural beaches affecting Cala Bassa, Cala d’Hort and Mitjorn (ses Salines) and they intend on eliminating, or reducing the number of pedal boats in places like Cala Tarida, to give bathers more space. 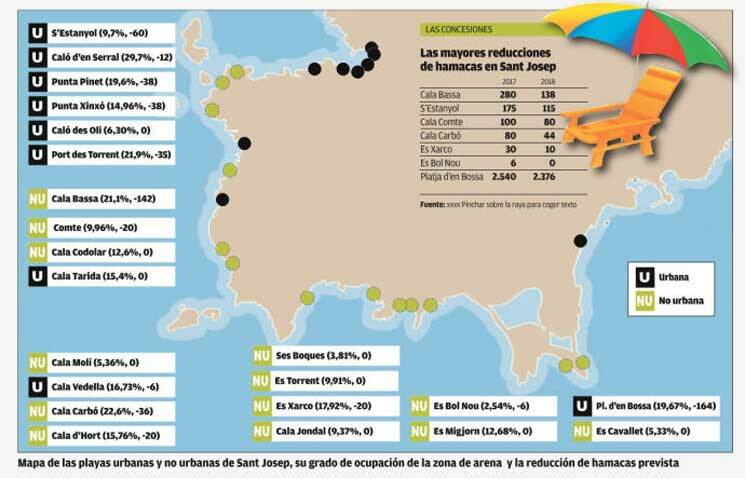 Es Cavallet, Cala Jondal, and Ses Salines will maintain their concessions at 270, 270 and 500 respectively. Of the urban beaches, concessions will be reduced due to their lack of use and lots will be compressed to 5m2 per sunbed, four times less than some concessions occupied. As a result, s’Estanyol will lose 60 sunbeds, more than a third; in Punta Xinxó and Punta Pinet, 40 each and in Port des Torrent, 35 less.